I love that saying, but I don't always follow it. Instead I get fixated on quantity and how much of something I can have. If you are following any kind of diet, eating plan, or maybe you're just trying to eat healthier, it is easy to forget the quality of your food. I'm an odd ball in the sense that I like the taste of many what you'd call 'health' or 'diet' foods. I like to eat rice cakes and bran flakes and Ryvita crackers. I'm just one of those people. I like my fruits, veggies and salads, and I hardly ever complain when it comes to eating the fresh stuff. But because of my past habits of over-eating I often slip back into the mind set of I need more, and if it's lower calorie etc, surely I need more?! Now I am older obviously I know that not to be true. Some days you are going to need to eat more than others, and that's just the way it goes. It is dependant on a number of factors including exercise and activity and so on. But even though I know all of this, I still get fixated on the Quantity aspect. By nature human beings want more, and it is something that I always struggle with, and may always struggle with. 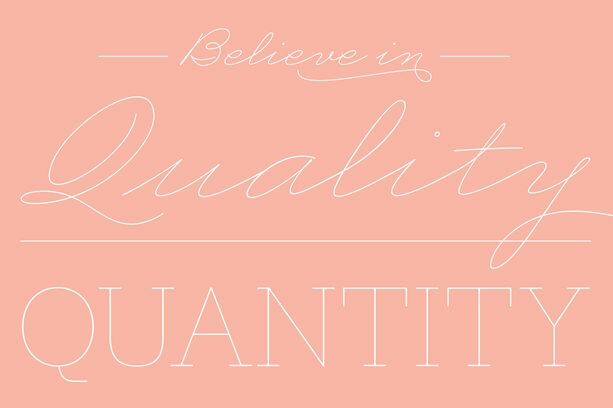 But I am going to work on things, so instead of quantity, I choose quality and each week I choose to treat myself to quality. For example, it may be a cake I buy from a bakery that I have been eyeing all week. I want to try doing this and trying the quality over quantity challenge. It makes sense, but sometimes it is easy to get carried away. Do you struggle with portion control? 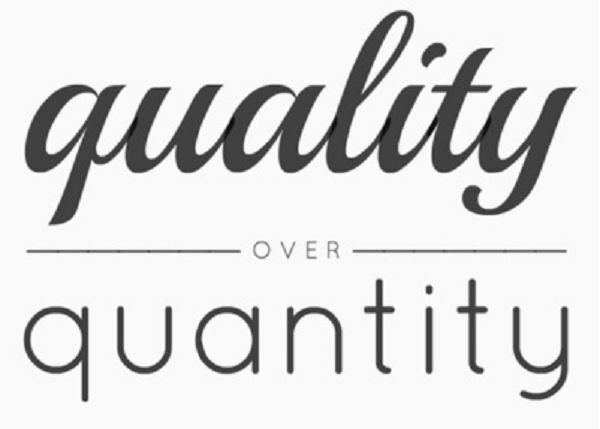 What are your views on quality over quantity?